After your amazing temple tours, you will be transferred to the floating village on the great Tonle Sap Lake. Your journey begins by witnessing the beautiful rice paddies and the daily lifestyles of the local people before arriving at the boat dock. There you will board a quaint local boat which will take you to the amazing floating village for your unique kayaking experience. 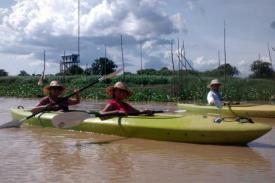 On arrival, you will be amazed as you kayak gently through this floating village where you will be welcomed by warming smiles from the humble Cambodian people who live on this fantastic lake or you can cruise on the boat in the village and kayak gently to the Tonle Sap Lake with great scenery and seeing rare birds. 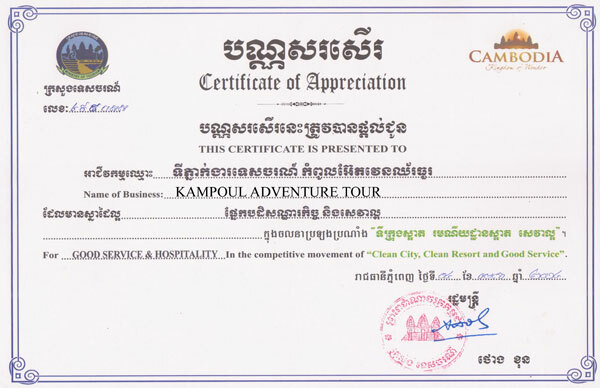 Our professionally trained guide will be able to explain the local customs on how the local people live, work, and trade before stopping a great spot for a stunning sunset (afternoon tour only) over great Tonle Sap Lake if you choose to do the sunset before transferring back by boat where our air conditioned vehicle will be waiting to transfer you back to Siem Reap town.